COSTA RICA - GT TOURS INC.
Meet and greet at the Juan Santamaría International Airport by our local English speaking guide and transfer to your hotel in San Jose. Breakfast at the hotel. Today you’ll depart towards the North of country. San Carlos offers a landscape of exceptional beauty with its forests, lakes, fields, springs, and the most active volcano in Costa Rica: the Arenal volcano. On the way you will visit La Paz waterfall gardens. Five waterfalls, cloud forest and rain forest, safe hiking trails, aviary with 40 species of birds and a variety of animals,orchid, heliconia and bromeliad exhibits. All of these offered at one place. The gardens are a rescue center for all these animals. Lunch is included during the visit. Then continue the tour to Arenal. Breakfast at the hotel. Today you have a share tour to the hanging bringes. During this tour, the guide will take you through the private nature reserve and introduce you to its rich biodiversity. Our goal is to offer you a safe and sustainable way to enjoy the abundant natural resources and at the same time protect it for our future generations. Breakfast at the hotel. Private transfer from Arenal to San Jose. After arrival the rest of the day is at leisure. Arrival and departure private transfers.Two nights at Grano de Oro hotel Two nights at Arenal Springs hotel Private land transfers in minivan with a/c Daily breakfast.Private tour to La Paz Waterfall Gardens Share tour to Arenal Hanging Bridges. Meals as indicated in itinerary Hotel taxes . International air between USA and San Jose. Quoted separately on request. Meals and beverages not mentioned in the program. Optional tours or ground services not specified in the itinerary. Tips to tour guides & drivers. Expenses of personal nature. Costa Rica departure tax (US$29,00 per person). Tortuguero National Park was created in 1975 and is located in the northern Caribbean at 80 km from Limon. It is considered the third most visited park in the country and presents feature RAMSAR wetland of international importance. This covers an area of 26156 ha. (65,390 acres) in the terrestrial and approximately 50,160 ha (125,400 acres). at the marina, its tropical rain forests are mostly primary and receive rainfall of approximately 4500 to 6000 mm. per year, where you can find species such as jaguars, tapirs, three-toed sloth and three of the four species of monkeys that are in the country, and staying manatees, crocodiles, fish, gar, blue heron, jacana, among others. All the diversity of species is largely reflected in its people where approximately 400 species of trees, over 2200 species of plants and over 405 bird species, that is what makes Tortuguero a magical place to visit, where the relationship with nature is harmonious and one hundred percent of your choice. Early departure from San Jose across the spectacular Braulio Carrillo National Park towards Tortuguero. In the afternoon, a visit to the Tortugero town is scheduled. In the morning a hike in the lodge’s private trails is scheduled, with a naturalist guide. Visits to the tropical forest, butterfly farm, the frog farm the ranarium, the aquarium, the biodigestor and gardens. In the afternoon, enjoy a canal boat tour through Tortuguero National Park. The return is scheduled to be at about 09:00 am after breakfast. Board the small boat to get back to La Pavona or Caño Blanco then a land transfer to get to Guápiles and to your hotel in San Jose . Arrival and departure private transfers in San Jose. Share transfers in Tortuguero. Two nights at Hotel Presidente Two nights at Mawamba Hotel Private land transfers in minivan with a/c Daily breakfast at hotel in San Jose. Share tours in Tortuguero. Meals as indicated in itinerary including full board during stay in Tortuguero Hotel taxes . The town of Monteverde, located at the south end of the cloud forest, had its beginnings in the early 1950s with the impetus of a group of Quakers from the United States, a group that came to Costa Rica attracted by its pacific inclinations and disarmament. They established themselves in the region and devoted themselves to produce milk and quality cheeses. 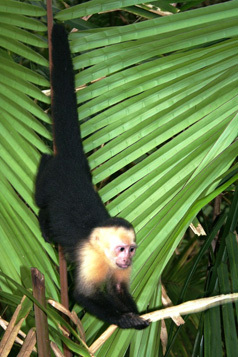 Monteverde is located 172 kilometers northeast of San José. The climate is template and humid, with an average of 17ºC (60ºF). The nights are cool and at times cold when the trade winds blow. Breakfast at hotel. Today you’ll depart towards the North of country, to the cloud forest of Monteverde. After arrival day at leisure. Breakfast at hotel. Today will enjoy of a full day of adventure in Selvatura Park. After breakfast you will be collected at your hotel to take you to Selvatura. Breakfast at hotel. Today before returning to San Jose and your hotel, you will visit the Monteverde Reserve. Enjoy a four-hour nature tour through the renowned Monteverde Cloud Forest Reserve. Arrival and departure private transfers in San Jose. Share transfers to/from Monteverde. Two nights at Hotel Grano de Oro Two nights at Fonda Vela Hotel Daily breakfast at hotel in San Jose. Share tours in Monteverde Reserve and Selvatura Meals as indicated in itinerary  Hotel taxes . Arrival transfer from Juan Santamaría International Airport to your hotel in San José. Overnight accommodations at Sleep Inn Hotel, Standard double room. Breakfast in the hotel. Arenal Volcano and hot spring tour and transfers. Few sites in Costa Rica inspire more respect and admiration than the Arenal Volcano. On the way to La Fortuna, a stop is made in Sarchi, the country’s most famous crafts and souvenir town. After lunch, a visit to the Arenal Lake is made. To end the afternoon, relax in one of the best thermal water places in the area where you can enjoy a healthy and relaxing soak. Hot springs are considered a natural expression of Earth’s energy. Geologically, Tabacon Resort’s thermal natural springs are 97% rain-based and 3% magma-based. Breakfast. Morning visit to Sky Adventure for a Sky Walk, guide and transfers included. Sky Walk + Plus, is a guided tour perfect for nature lovers. It is the perfect combination between a hike through the lush rainforest of the Arenal area and the adventure of the suspended bridges. The Sky Walk gives visitors the unique chance of observing this complex ecosystem up close. Breakfast. Morning shuttle bus from Arenal to Manuel Antonio. Hills covered with green forests compose the common landscape of the area. Some of the features, which have made Manuel Antonio one of the places most preferred by the tourists, are the white sand beaches, cliffs, rivers, rain forests, the large variety of animal life and climate. Breakfast. Day at leisure to enjoy the beach or to take an optional tour. Breakfast. Morning at leisure to enjoy the area. In the afternoon, share shuttle transfer back to San Jose. International air between USA and San Jose. Quoted separately on request. Meals and beverages not mentioned in the program. Optional tours or ground services not specified in the itinerary. Tips to tour guides & drivers. Personal and/or medical expenses. Costa Rica departure tax (US$29,00 per person). The fascinating Afro-Caribbean culture, a combination of Jamaican, Italian and Chinese immigrants, predominates in this region and fills the atmosphere with fragrances, tropical rhythms and brilliant colors. A site of refuge for the marine turtles to lay their eggs. Along this area there are protected areas with small trails which permit the access into the heart of the tropical forest. For those who love fishing, diving, surfing and snorkeling, this place is undoubtedly an earthly paradise. Early pick up from your hotel. Admire the biodiversity of an astonishing protected area in Costa Rica as the bus drives through Braulio Carrillo National Park; have a delicious typical breakfast en route. Visit a banana processing and packing plant. Later board a comfortable boat upon arrival to Caño Blanco pier and enjoy the ride as you travel along the Tortuguero canals to the lodge Join in afternoon activities. Lunch and dinner at the lodge. .
From July to September: Optional night tour (not included in the package) to observe the turtle nesting. After breakfast, guided walking tour through the trails. Free time before lunch. In the afternoon, visit to Tortuguero National Park. Breakfast in the hotel. Morning at leisure. In the afternoon, take a shared tour to Arenal Volcano & Tabacón Hot Springs. This tour will allow you to enjoy the most extraordinary views of Arenal Volcano. After the hike, a relaxing soak into the natural mineral waters of the Tabacon Hot Springs will finish a perfect day. Breakfast at the hotel. Take a shared ground transfer bus from Arenal to San José. Upon arrival there transfer to hotel for overnight. Breakfast at the hotel.. Private transfer to Juan Santamaría International airport for your flight to your next destination. Among the most popular beaches are Herradura, Jaco, Dominical and the ones at Manuel Antonio National Park. Hills covered with green forests compose the common landscape of the area. Some of the features which have made Manuel Antonio one of the places most preferred by the tourists are the white sand beaches, cliffs, rivers, rain forests, the large variety of animal life and climate. Breakfast at the hotel. Morning shared tour to Manuel Antonio National Park. Watch sloths and monkeys moving through the tree canopy, hunt for nocturnal silky anteaters, surprise iguanas resting on a tree and listen to the songs of the various birds. Breakfast at the hotel. At noon, take a shared ground transfer (by shuttle bus) from Manuel Antonio to San Jose. Breakfast at the hotel. Private transfer to Juan Santamaría International airport for your flight to your next destination. International air between USA and San Jose. Quoted separately on request. Meals and beverages not mentioned in the program. Optional tours or ground services not specified in the itinerary. Tips to tour guides & drivers. Personal and/or medical expenses. Costa Rica departure tax (US$29.00 per person).